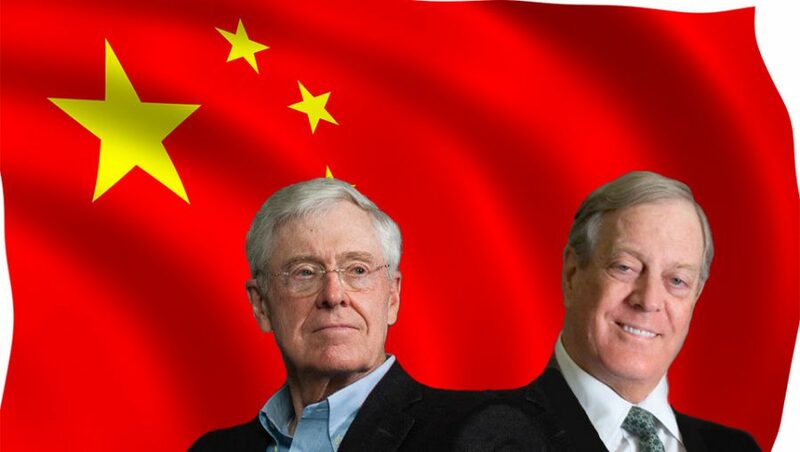 The Center for Media and Democracy (CMD) has previously reported on Koch Industries’ foray into China with its investment in SINA Corp, a leading Chinese tech company. Now comes the announcement by the fiber company INVISTA, a wholly owned Koch subsidiary since 2004, that it will spend $1 billion to build a facility in China to manufacture a chemical used in the production of nylon. While the Kochs’ libertarian ideology may seem at odds with China’s political landscape, where the Communist Party is guaranteed supreme political power by the constitution and Xi Jinping has consolidated power as the country’s permanent president, the Koch family is no stranger to totalitarian governments. “The Kochs have previously acknowledged part of their father’s [Fred Koch] history about helping Soviet dictator Josef Stalin build refineries and then preaching anti-communism in the U.S. once his fortune was made,” wrote Lisa Graves, former executive director of CMD. In her book, Dark Money, Jane Mayer also revealed that Fred Koch helped build a refinery personally approved by Adolf Hitler, one of the three largest refineries in the Third Reich, which produced the oil needed to fuel Hitler’s military aggression. Now, like then, when the Kochs lambaste President Trump for imposing tariffs on Chinese imports, it isn’t clear whose interests are being promoted by the brothers.